It was almost exactly 15.00 hours local time, on 25 June 1950, when nine Yakovlev Yak-9P fighters of the North Korea's 'Korean People's Air Force' (KPAF) simultaneously attacked Seoul International Airport and the Kimpo Airfield outside Seoul, the capitol of South Korea. In the course of their attacks, the Yaks shot up ground installations and strafed one of Douglas C-54 transports of the US Air Force involved in evacuation of US citizens from the war-stricken country. The Yaks returned to finish off the C-54 at Kimpo around 19.00. Thus began the aerial component of the Korean War, which was to last until mid-1953. While dozens of accounts about this air war have been published over the time, nearly all of these are concentrating on its most spectacular segment: air combats between jet fighters of two primary belligerents: North American F-86 Sabres of the US Air Force (USAF) and Mikoyan i Gurevich MiG-15s of the Soviet Air Force (V-VS). 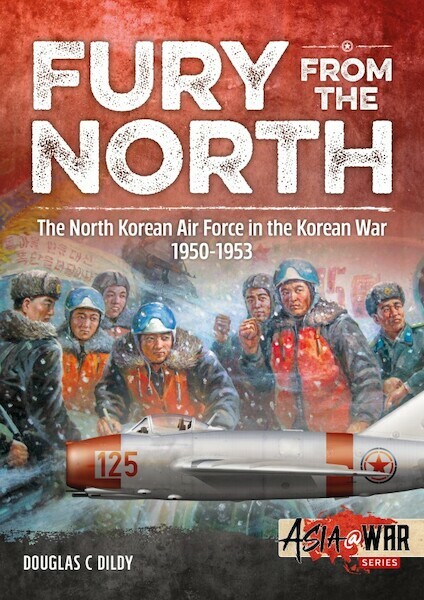 On the contrary, the story of KPAF's coming into being and its involvement in the Korean War remain entirely unknown. Certainly enough, the small service was virtually wiped out of the skies in a matter of few weeks after the start of that conflict. Therefore, the impression is that it never took part in the Korean War again. Actually, the KPAF – backgrounds of which can be traced back to the times only three months after the Japanese capitulation that ended the World War II – was re-built and even made a come-back: re-equipped with piston-engined fighters of Soviet origin already by the end of 1950, it went a step further and converted to jets just a year later. This is a story of the – often problematic – coming into being of the KPAF. Clearly, building a modern, effective air force was always a daunting undertaking – even in the late 1940s when there was abundance of combat aircraft left over from the World War II. Nevertheless, the communist government of North Korea and its airmen never stopped trying. Surprisingly enough – especially for a military service of a staunchly communist and underdeveloped country of the 1940s – it was greatly bolstered by efforts of a single wealthy man that provided installations necessary for education of future pilots and ground personnel.